TIMELY. Rapid results in 24-48 hours mean the right treatment, right away. COST EFFECTIVE. Quick identification of genus/species supports informed treatment decisions that can more quickly lead to effective outcomes.2. REQUIRED. 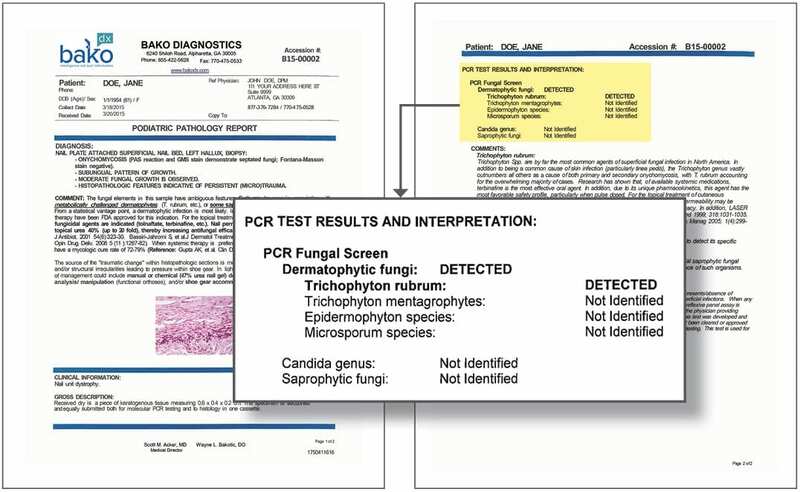 Many payors require precise identification of fungal species for preauthorization of anti-fungal Rx. COVERED. Bako’s onychodystrophy DNA test is covered by Medicare and most insurance plans. 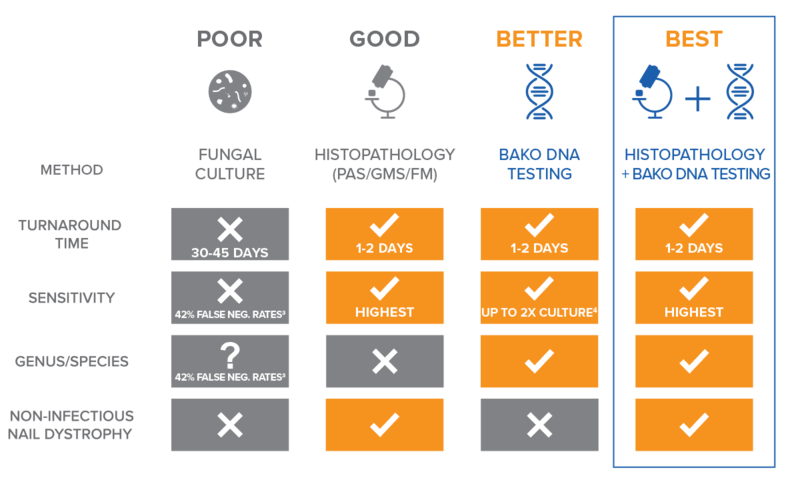 We are the only laboratory that optimizes cost using a proprietary reflex testing workflow that identifies the relevant agents of disease. Not all genus/species are treated the same. Let Bako’s onychodystrophy DNA testing help you determine the safest and most effective oral and topical treatment. Gain all the advantages of Bako’s onychodystrophy DNA test, plus the added benefit of testing the sample for trauma, neoplastic processes and non-infectious nail diseases, when you include DNA testing with histopathology. Chandran, N. S., J. Y. Pan, Z. A. Pramono, H. H. Tan and C. S. Seow (2013). “Complementary role of a polymerase chain reaction test in the diagnosis of onychomycosis.” Australas J Dermatol 54(2): 105-108.